Beliefs and Values Stars Shine! 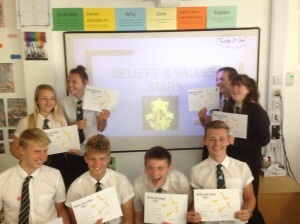 Congratulations to this year’s B&V stars who have been nominated for their positive and mature attitude to learning. Well done!!! Pictured below is a group of students with their certificates.